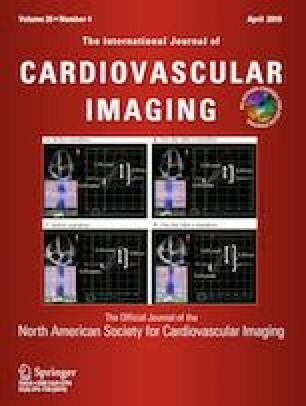 A growing body of evidence has demonstrated that pulmonary arterial capacitance (PAC) is the strongest hemodynamic predictor of clinical outcomes across a wide spectrum of cardiovascular disease, including pulmonary hypertension and heart failure. We hypothesized that a ratio of right ventricular stroke volume (RVOT VTI) to the associated peak arterial systolic pressure (PASP) could function as a reliable non-invasive surrogate for PAC. We performed a prospective study of patients undergoing simultaneous transthoracic echocardiography and right heart catheterization (RHC) for various clinical indications. Measurements of the RVOT VTI/PASP ratio from echocardiographic measurements were compared against PAC calculated from RHC measurements. Correlation coefficients and Bland–Altman analysis compared the RVOT VTI/PASP ratio with PAC. Forty-five subjects were enrolled, 38% were female and mean age was 54 years (SD 13 years). The reason for referral to RHC was most commonly post-heart transplant surveillance (40%), followed by heart failure (22%), and pulmonary hypertension (18%). Pre-capillary pulmonary hypertension was present in 18%, isolated post-capillary pulmonary hypertension was present in 13%, and combined pre-and post-capillary pulmonary hypertension was present in 29%. The RVOT VTI/PASP ratio was obtainable in the majority of patients (78%), and Pearson′s correlation demonstrated moderately-strong association between PAC and the RVOT VTI/PASP ratio, r = 0.75 (P < 0.001). Bland–Altman analysis demonstrated good agreement between measurements without suggestion of systematic bias and a mean difference in standardized units of − 0.133. In a diverse population of patients and hemodynamic profiles, we validated that the ratio of RVOT VTI/PASP to be a reliably-obtained non-invasive marker associated with PAC. Geoffrey H. Tison received support from the National Institutes of Health (Grant No. K23 HL135274). The funding source played no role in the design, conduct, or reporting of this study. All authors report no conflicts of interest to disclose.